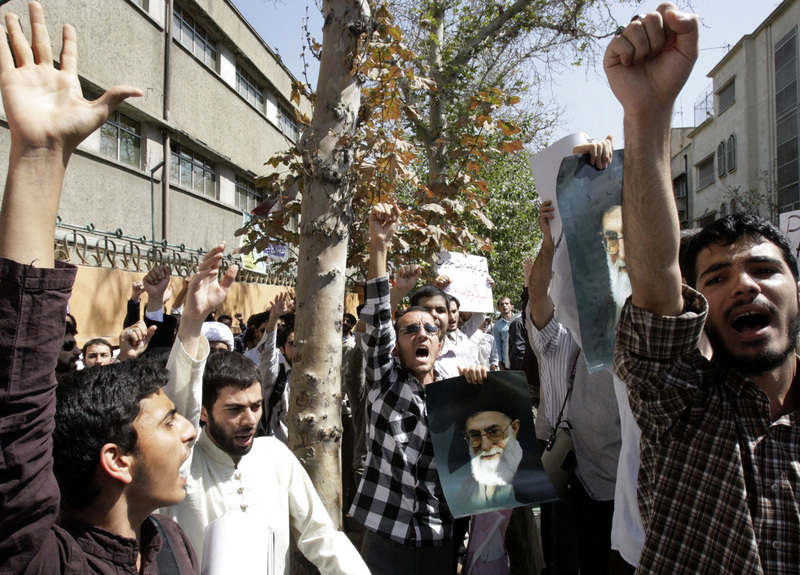 TEHRAN, Iran Dozens of Iranians angered over an anti-Islam film made in the U.S. and by caricatures of the Prophet Muhammad published in a weekly in France have attacked the French Embassy in Tehran. Shop vendors and residents in the area said protesters smashed a police guard post outside the embassy and a bulletin board at the embassy wall. They said about 30 protesters were arrested following the attack on Tuesday morning. The witnesses spoke on condition of anonymity, fearing for their own safety. Since the film's appearance, outraged Muslims around the world have rallied against it. Iranians have held regular peaceful protests denouncing the film and the caricatures. State TV showed several rallies in cities around Iran on Tuesday but the embassy protest was apparently not officially endorsed and was not mentioned.